It’s about that time again—year-end reviews are due, office holiday parties are upon us, and countless people are realizing with horror that they’re about to lose those vacation days they didn’t take. There are an infinite number of reasons to use all your paid time off (it’s paid time off, for starters, and Americans don’t get enough of it), but one hotel chain is sparing everyone that speech and instead throwing its rewards members exclusive events to get them out and about. It recently extended the program overseas, which begs the question: Are Americans not the only vacation-phobic workers anymore? Hospitality giant Hilton launched Hilton@Play in the US in early 2015. 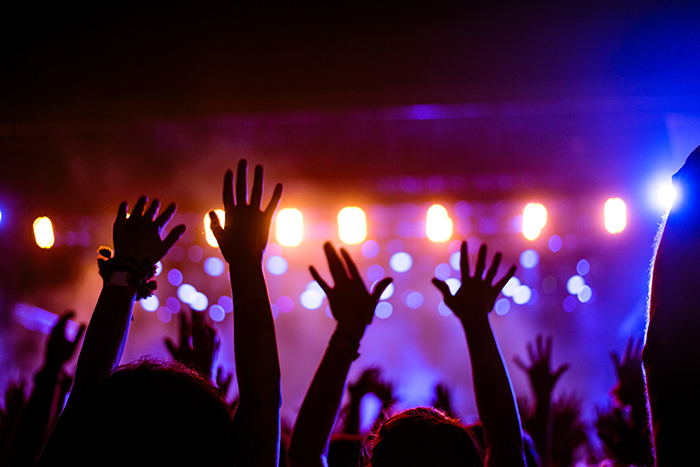 Partnered with event ticketing company Live Nation, the loyalty program brings unique, small-scale concerts and events to those with a loaded Hilton HHonors account and the will to get out and play. After throwing @Play events in Chicago, Dallas, and New York, the event series touched down in London this October and extended the point-based options to activities in Europe, the Middle East, Africa, and Asia. Purchasing tickets with HHonors points will get your name on the guest list for the event. I attended the Hilton@Play Jess Glynne concert this October for the Hilton London Bankside hotel’s opening, and found it to be more of an hors devours-filled VIP party than a packed show. This made is easy to get impressively close to the Grammy-winning star. Whether it’s a Madonna concert in Amsterdam, a one night stay after attending a Neon Trees show at the Washington, D.C. Hilton, or a light show at the Pyramids of Giza in Egypt, the incentive to use those points is high. An intimate concert with one of the biggest names in music is an opportunity you’ll pay a pretty penny for elsewhere. Above: Jess Glynne performed for a crowd of about 700 at the Hilton London Bankside on October 22. The program’s more exclusive events are open for auction rather than a set asking price. Opening bids can be as low as 50,000 points, but may rise to well over 200,000. Hilton@Play’s recent expansion now includes vacation packages, ranging from golfing and elephant excursions in South Africa to a VIP racing package in Abu Dhabi. But the amount of points needed to participate is high across the board, with concert packages selling for about 75,000 to 80,000 points. Hilton gives standard HHonors members ten base points for every dollar spent at a hotel, and bonus points are added if you travel with one of their travel partners. But that may be worth it. A recent 60 Minutes and Vanity Fair survey found that most Americans would rather take a higher salary and keep their hours than get the five-plus vacation weeks nations like England and Denmark have. Are people in those countries also not using all their days? Turns out, Londoners may not be. According to The London Economic, a quarter of respondents to a survey in the UK capital said they were unhappy with their work-life balance, and about a third said that they have been described as a workaholic. “We knew it was time to turn our focus to another city known to work hard, and more importantly, play hard,” said Geraldine Calpin, global head of marketing and digital of Hilton Worldwide, in a press release. So, as vacation-phobia goes, at least Americans aren’t alone anymore. Associate Editor Shannon McMahon attended Hilton@Play’s London launch event at the Hilton London Bankside with no guarantee of providing favorable coverage. SmarterTravel offers unbiased opinions, positive and negative, and will never accept compensation for reviews. Follow Shannon on Twitter @shanmcmahon_.